Some search engines, such as Google or Bing, collect and store personal data. If you wish to seek tranquility, without being tracked (or less), fortunately, alternatives exist. Update - Some search engines, such as Google or Bing, collect and store personal data. If you wish to seek tranquility, without being tracked (or less), fortunately, alternatives exist. It's no secret that when you search Google, the search engine keeps track of it - in the form of a small text file, a log, Which contains your query, your IP address, and information about your operating system. Google also collects "cookies", files that trace your browsing history.Goal of Google: "better understand you", but also allow advertisers to then offer you targeted advertising. The same fight at Microsoft's Bing, which also keeps personal data - IP addresses, query history, cookies. This data collection is fairly harmless when it comes to only targeted ads, but the Prism case went through there, revealing data leaks to intelligence agencies, including the NSA. If you want to surf in complete confidentiality, and protect your privacy, some search engines will allow you to search safely, without traces, with a relevance in results as good as that offered by Google and Bing. Stop cookies and collect IP addresses! Be aware first of all that there are anonymous search engines that do not collect any data. The one who is riding at this moment is of course the American DuckDuckGo , a metamotor, which aggregates the results of fifty engines, like Yahoo !, Bing or Wikipedia. 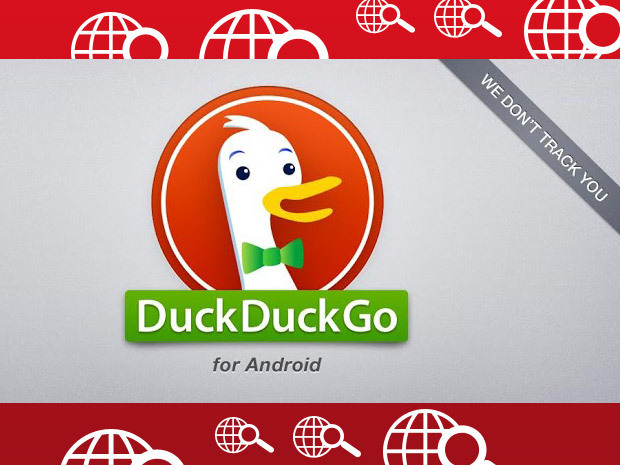 DuckDuckGo runs in private mode: it does not store any IP addresses, and does not collect cookies or search history. One option is to enable HTTPS encryption, which allows secure surfing. In terms of efficiency, DuckDuckGo has nothing to envy Google; With effective research and equally relevant results. The metamotor currently has just over 5 million requests per day. A metamotor, Ixquick , also stands out from the crowd. The results of Bing, Ask, Open Directory, Wikipedia, AltaVista, AlltheWeb, AOL, are compiled, and the results rather accurate. Ixquick does not store cookies or IP addresses, and allows anonymous searches. The publisher of Ixquick also offers a start page that allows to query Google, but anonymously : Startpage . Between Google and you, Startpage acts as a proxy, and prevents the collection of personal data. The icing on the cake: if you click on a result, the site on which you surf will not be able to recover your IP address, but that of Startpage, allowing you to remain anonymous. Disconnect Search is a part of Disconnect.me , a set of tools to protect your privacy (private web browser, VPN ...), Disconnect Search is quite close to Ixquick: this meta search engine gathers the results of the search engines of your choice , Bing, Yahoo, Duck Duck Go) and does not link your search to your IP address, which also allows you to search anonymously. Note that Disconnect Search exists in web version, but also in the form of browser extension, for Chrome or Firefox. Another engine (or metamotor, according to the interpretation) of research, quality, will also allow you to remain anonymous: it is the frenchie Qwant , which crosses the results of several engines and social networks, without tracking you and without storing Of cookies. For my part, I also recommend another effective search engine, Yippy (formerly Clusty). Its particularity: to put the results of research in thematic files. All this in total confidentiality. Without you. Yippy questions Ask, Bing, Open Directory, Yahoo !, but not Google. "Yippy does not collect any search or browsing history, does not track user activity and does not store personal information," said the service. 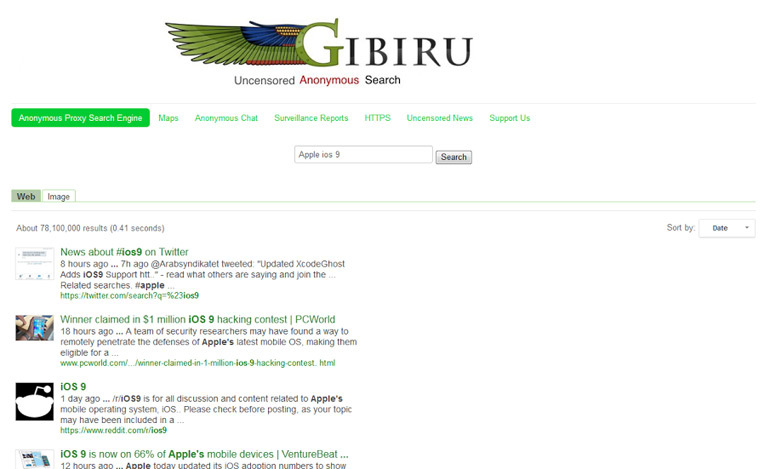 Another interesting search engine: Gibiru. Created in 2009 by Internet privacy advocates, it does not collect cookies. It also distinguishes your request from your IP address, through proxy servers, and allows to search in HTTPS, in an encrypted way . This anonymous search engine (which also exists in the form of a Mozilla Firefox extension) and effective (the results are as relevant as Google and Co.) also allows to find content censored on many engines. Note that Gibiru also proposes an anonymous IRC chat . But trusting a centralized search engine and owner, in other words a company, can put off some. For the most suspicious, there are free, decentralized search engines. This is the case of Yacy , an open source Peer-to-Peer (P2P) search engine. YaCy Demonstration from Michael Christen on Vimeo . The principle is the same as that of "classic" P2P software: you install software on your PC (available for Mac, Windows, Linux). Other users do the same, and this allows Yacy to run without a central server. The Yacy server is located on all user computers. Queries are done on the Net, but also in a kind of Intranet powered by users, who take part in the process of indexing content. The results are decentralized, queries are indexed in a distributed database, searches are encrypted, there are no cookies or other tracking devices, and your privacy is protected. If the results are different from those of the "major" search engines, they are no less relevant. The strength of collective intelligence is worth Google and other engines!